While pondering the title for this post, I found myself typing: “Teaching at a Community College Level.” Hmmm. This was interesting, because the purpose of my blog entry is to help dismiss the idea that working and teaching at a community college is very different, not as satisfying, or ‘less than’ that of a College or University. Alas, my slip reminds me that the need for such a discussion exists. I became acutely aware of this when a friend unknowingly slighted me by stating that my new position at a community college will be tough given “those kinds of students” who attend these institutions. She was surprised that I had taken the position, rather than be at a university that was more prestigious and had a “stronger” faculty. She was an intelligent woman, so why the stereotypes? Did she not realize that I had just grabbed the elusive brass ring – a rare tenure-track position as an Art Historian? I realized that so many people, even in education, hold fast to this idea. The purpose of this blog entry, therefore, is to help dispel that myth, and to give insight to those who might think twice about working at a community college. • Teaching is the Priority. Teaching, rather than writing and publishing, is often the focus of a community college. This is something that I applaud, since the attention is placed on the student and learning. We have all had professors who shirked their duty as educators to focus on a writing project. Unfortunately, some consider students as a necessary distraction, and therefore teaching is almost an afterthought. I consider teaching a privilege, and not a means to fund my research. I know where my strengths lie, and I am in my element while lecturing in the classroom. To witness a change in students due to education is a thrill. Teachers have the ability to change lives. I absolutely love teaching and thus am well suited to this environment. • Focus on Student Success. This college has so many programs to help students. We have a writing center, of course, but also have short courses to increase student success. One example is a course to inform students about the expectations and workloads, and to help them decide if they have the wherewithal to succeed. “Distance Learning” students, taking online classes, go through a process to help them understand the challenges of online learning and the necessity of self-management that is integral to success. The college gives support and additional financial aid to students who are the first in their family to attend college. For those students who are struggling, there is a college-wide early alert system to help students steer away from their impending derailment. • Great Education. I have taught at a university, two colleges, and now a community college. When I took my current position, I never considered ‘dumbing down’ the course. If anything, I have increased my expectations. I often hear from former students that their current art history professors of upper level classes at colleges and universities require them to know less that I did, and/or are more forgiving with writing skills. • Possibility of Early Tenure. Even though things are changing at my institution and the guidelines for achieving tenure are more rigorous, I achieved tenure after only a few years. Unbelievable? Say what you might about not earning the stripes, paying dues, or other such things that surround discussions of tenure in such a short time, job security is invaluable. • Sabbaticals, Travel Grants and Study Abroad. This may be obvious, but I assure you that someone reading this is unaware that community colleges offer these. In the year 2015 I will lead a study abroad trip to France. Study abroad trips, in my opinion, are one of the singularly most important classes that any student can take to not only educate them about the class subject first hand, but also to offer a life-changing experience that permanently alters their view of the world. • Teaching Beyond the Survey. 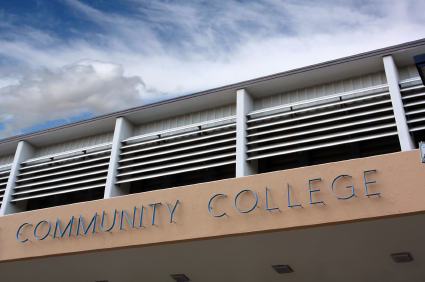 It is a misconception that community colleges just offer survey classes. In addition to both surveys, each semester I teach Modern Art, History of Architecture, and History of Photography. • Teaching to a Wide Variety of Students. Because of the school’s open door policy (provided students meet a minimum GPA), I have students who range from potential Harvard material to those who need remedial classes. Because of this, I do find myself counseling a higher number of students who need help in areas such as: basic English, writing, remedial learning, building their academic confidence, or issues that go beyond the scope of the class, such as undiagnosed learning disabilities. We are all aware that there are too many students that have fallen through the cracks, perhaps due to a teacher who dropped the ball, or the students themselves. Part of my job is to help them “pick up the ball.” I consider it my job to reach out to all of them, and help those who are willing. Therefore, I supply…..
• Supplemental Materials for Success. I have noticed that when I supply supplemental materials, writing, understanding, and grades improve. For papers, I provide links that teach students how to create bibliographies and footnotes. I supply a ‘how to improve your writing’ document as well. Another offers help for creating research papers. In addition, I give student examples, my paper grading rubric, and a guide to proofreader’s marks. Students are not obligated to use these, but many do, and I see the difference. Survey Classes – The three tests consist of: Two sections of Slide IDs: 1)Five to eight slides that require date and period, and two significant facts for each. 2) Slide IDs: Five to eight slides that require title, artist and date or period for each. 3) Matching section of at least fifteen terms. There are thirteen reading assignments consist of approximately twenty questions about material that is important, but that I put secondary to the material that I teach in class. The Formal Analysis paper is a three-page paper and requires them to visit a local art museum. Upper Level Classes – The three tests consist of: Two sections of Slide IDs: 1) Five to eight slides that require date and period, and two significant facts for each. 2) Slide IDs: Five to eight slides that require title, artist and date or period for each. 3) Matching section of at least fifteen terms. 4) Comparison Essay. There are thirteen reading assignments, which consist of short response answers and one essay. The paper is a seven to ten page research paper. In addition, the supplementary materials that I provide make grading quicker and much easier. • Blackboard. If only technology truly did make our lives easier. I create the reading assignments on Blackboard (Bb), and students take them on Bb as well. The time I take to create them on this program is often times far longer than simply typing the assignment into a Word document and handing it out to students. However, I take the time, because I can set it to have a portion of it graded by Bb, and it keeps and tabulates the scores once I upload them, not to mention the paper that it saves. The time it ultimately saves makes the hassle almost worth it. However, every other day I vow to go back to the old-school pen to paper method. There it is: the good and the difficult. If this sounds much like the college where you take classes, or where you teach, then you probably realize that community colleges are not much different from a regular college. Are there challenges? Of course there are. Is teaching at a community college as prestigious as working at a big university or Ivy League school? Perhaps not. Yet, community colleges are institutions that deserve our praise and respect, as do the professors that work there. The work is rewarding. Perhaps I am an idealist, but I feel that I “reach” more students at a community college. I have always been one to root for the underdog, but I have the same number of underdogs, star students, and everyone else in-between as most of the rest of you who are also college teachers – which is why I will continue to stay exactly where I am, as long as they will have me. I also teach at a community college, and wouldn’t trade it for the world! It is tremendously rewarding to work with students who would not have access to higher education were it not for the affordable (and open enrollment) option that community colleges can offer. The work can be quite challenging, since many of my students are academically unprepared, and require remedial education; but many of them are also extremely bright, and eager to learn. I personally find the challenge of helping these students achieve their dreams (many of them from minority groups, and the first in their family to go to college) far more satisfying than teaching at a four year college, where many students don’t care about their education, because their parents are paying for it. Thank you so much for this post. I teach as an adjunct as a community college, and I love it for same reasons that you and mmhe mention above. I’m at a new school this semester and am using Blackboard for the first time in 3 years. I am curious about your reading assignments that you make available online. How did you start setting up the assignment? And are the responses multiple choice, or do you require short answers? I am also curious to know if your school helps to fund trips to conferences and the like. What types of conferences do you think would be of the most benefit for cc adjuncts like myself, who have to pay the costs out of pocket? (I would like the most bang for my buck so to speak). a great resource when looking for full-time, tenure track positions.